Exquisite glassware and house-made bitters are just some of the things that make up the perfect craft cocktail. These trendy concoctions focus on high quality ingredients and ask only that as you imbibe you take your time to savor the flavor. Therefore, what a crafts cocktail aficionado desires is something that will keep his pricey drink refreshingly cold the entire time it takes to drink it. Enter Chuck Avery, a certified sommelier and an artisanal icemaker who owns Melt, a company that sells custom-cut craft ice. 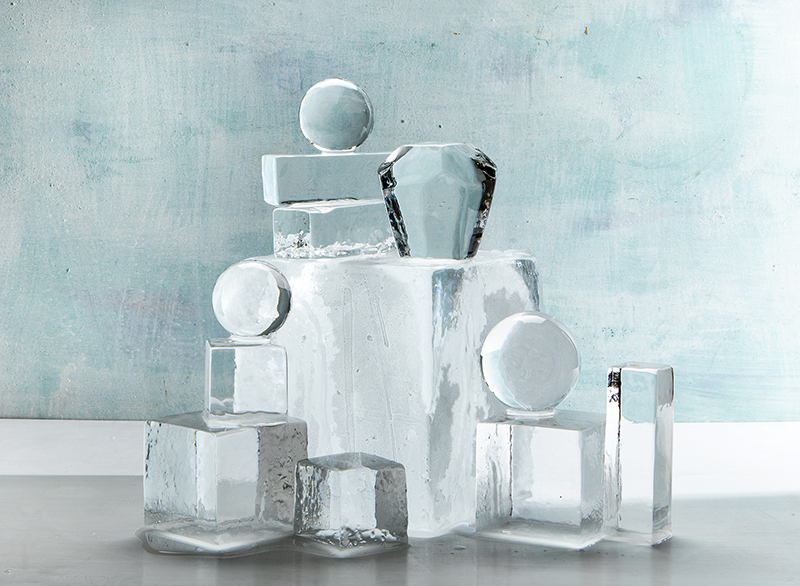 It’s pre-cut, either in cubes, spears, slabs or blocks and it’s much larger than traditional ice cubes. “Smaller ice cubes dilute a drink faster because more cubes equals more surface area through which the ice absorbs heat and thus melts quicker,” he says. Before a career in ice came along, Avery enjoyed selling and sharing his knowledge of wine, but he was looking for something with a bit more of a creative challenge. Learning the craft had a steep curve; even his skills as a woodworker were put to a test using band saws and a butcher saw on slippery 50-pound blocks of ice. He has two wells that circulate water as each freezes 45 gallons of water. The air is removed in the process and nothing gets trapped or makes bubbles. Avery’s business is growing fast and in June he was able to begin devoting himself full time to his craft. He supplies ice for many restaurants such as Domenica and Cane & Table. He also worked almost 24 hours for seven days straight during the most recent “Tales of the Cocktail.” Soon he hopes to move into a warehouse he’s helping to design. He’s also looking into expanding his products to offer more options in ice from punch bowls made of ice to ice sculptures.